Need some fresh ideas for getting your child to the bench for practice time? Read on! Have an established daily practice time, like right after breakfast. Stick to this time. Generally, the more consistent you are, the more willingly your child will follow the routine, and the less resistance you will encounter. 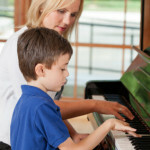 Try using inviting words with a cheerful tone: “Let’s go to the piano for music time!” Many kids will go to the piano more willingly if you provide some company during their practice time. Some children like you to sit right next to them on the bench, others will just want your presence in the room (you can just enjoy a peaceful moment reading a book). Never say things like, “Go out there and practice right NOW!” We don’t want practicing to feel like punishment or a time-out. Generally, I am not a fan of giving tangible treats or rewards because I want kids to learn to love music and that is the biggest reward. However, I think an occasional special treat or reward can provide an excellent boost to motivation. Instead of waiting until the end of practice to get a treat, why not give the reward at the beginning? 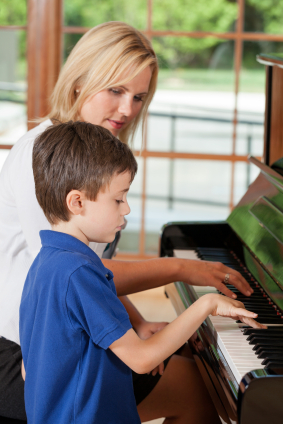 You could say to your child, “I have 3 chocolate chips for anyone who knows how to cheerfully come to the piano for practice time!” Enjoy the treat together–you probably deserve 3 yourself–and then dive into practicing. Remember, we don’t want kids to associate practicing with anger or negativity.